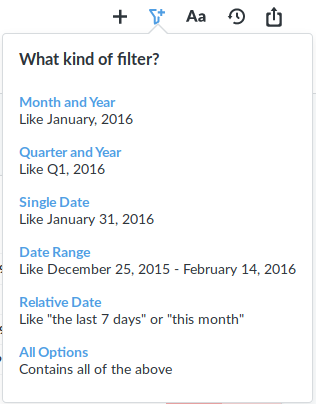 How do I use filters for multiple dates in the dashboard?For example, how to write sql? I don’t understand “multi-date”, do you mean ranges? If yes, then you just need to return a date column. How to write sql query statement with date range filter? Is the sql query with a date range written like this? Correct. It just needs to return a date column. I still don’t quite understand, I hope you can give an example of the actual sql query statement. It’s a lot easier, if you post your queries.